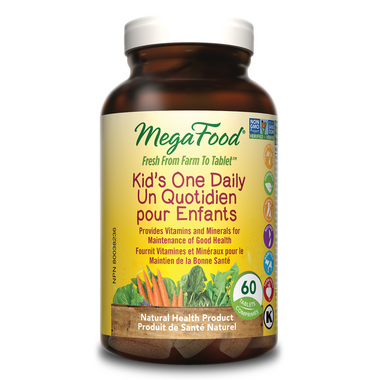 MegaFood Kid's One Daily Multivitamin is a comprehensive multi-vitamin formulated for children ages 5 and older. Each mini-tablet is easy for a child to swallow and does not contain any sweeteners, flavourings, or food colourings. 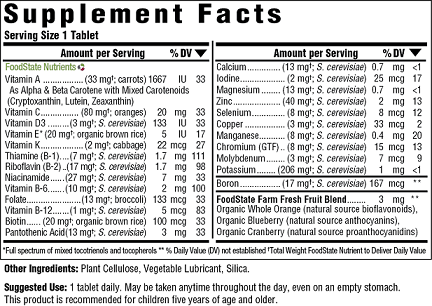 The convenient one daily serving provides 24 essential nutrients to support healthy growth and development. The product is amazing! We have to cut each vitimin in 3 pieces so our child can swallow it. I have always given the kid's gummies to my son but was recommended these because the vitamins actually are derived from the fruits/veggies and absorb properly. I wish I knew about them sooner. I did buy a bottle of them at my local health store but recently started shopping at well.ca and found better price here, as I have on many of the items I have been buying for years.